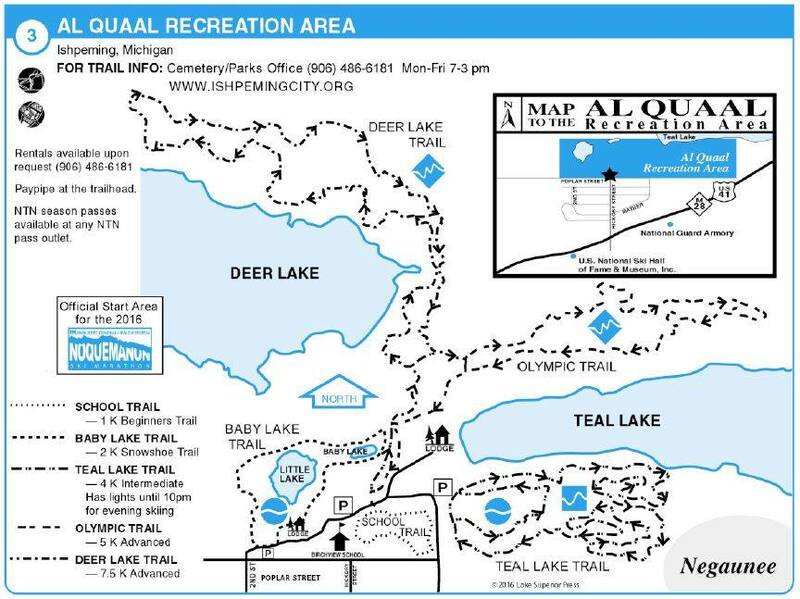 Ishpeming Public Works/Parks & Rec (906-486-9371/486-6181) or City Hall (906-485-1091) with questions. What's there: Start area for the Noquemanon Ski Marathon, the trail system has 4 loops that range from beginner to advanced. The more advanced trails are very rugged with many ups and downs, some steep). The trail conditions page is on Facebook. Part of the Noquemanon Trail Network.